Web hosting company GoDaddy said Sunday it is cutting off white supremacist website the Daily Stormer after the site posted a scathing article about the woman killed at a white supremacist rally in Charlottesville, Virginia, on Saturday. At the same time, posts on the site claimed the mysterious web hacking group Anonymous had seized control of the Daily Stormer, but Anonymous later disputed the claim. In response to a tweet from activist Amy Siskind, GoDaddy tweeted that it had given the Daily Stormer 24 hours to move its domain to another provider for violating its terms of service. Siskind, who describes herself on her Twitter page as, "President and Co-Founder of The New Agenda. Advocate for women's, LGBTQ rights, equality. Woman behind The Weekly List," had tweeted GoDaddy about a Daily Stormer article about Heather Heyer's physical appearance and what the extremist site depicted as her anti-white male views. 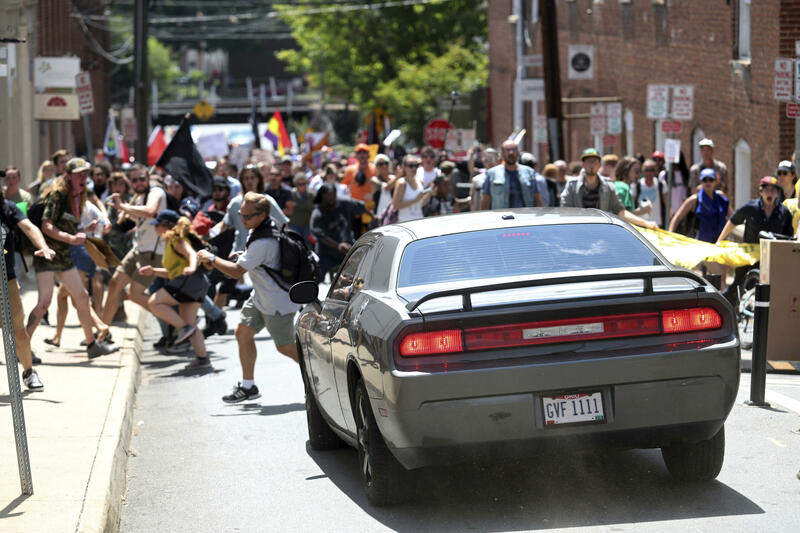 Heyer, 32, was hit and killed by a car allegedly driven by a man with white nationalist views when the car rammed a group of counter-protesters. The Arizona Republic says GoDaddy confirmed its move in an email to the newspaper. The paper also says GoDaddy "has drawn criticism for months for its willingness to provide a domain name for a website 'dedicated to spreading anti-Semitism, neo-Nazism, and white nationalism,' according to the Southern Poverty Law Center." The Daily Stormer is a neo-Nazi, white supremacist website associated with the alt-right movement. It was pushing the Charlottesville rally. GoDaddy, founded in 1997 and based in Scottsdale, Arizona, has some 6,000 employees worldwide, according to the Reuters news agency. Early Monday, the top of the Daily Stormer site featured a purported claim from Anonymous that it had seized control of the site, but other articles and links were still active. There was no known initial comment on any platform from the Daily Stormer.